245. Bayonet joint. 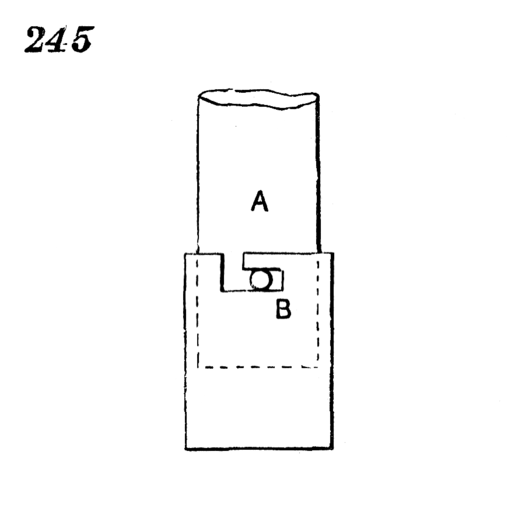 On turning the part, A, it is released from the L-shaped slot in the socket, B, when it can be withdrawn.